Navy SEAL Cooper Hansen hasn’t been home in more than a decade. He has never forgiven himself for the accident that killed his mother, and as far as he knows, neither has his family. 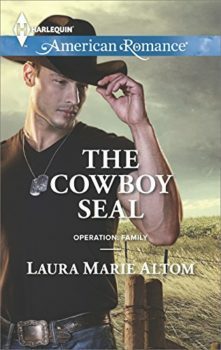 But when his brother’s widow, Millie, needs his help to save the Hansen ranch, Cooper can’t stay away any longer. Millie has always loved Cooper in some way—as a childhood friend, a high-school crush and then as a brother-in-law. Now that he’s back in Brewer’s Falls, she’s discovering new, unexpected feelings for him. But if Cooper keeps holding on to the pain of the past, will he ever give their future together a fighting chance?